A massive fire broke out at Citi Mart in New Market area of central Kolkata on Sunday afternoon. 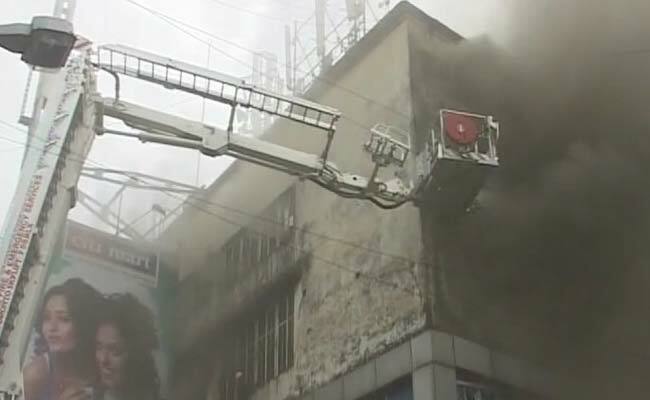 A major fire broke out at a shopping mall in the New Market area in the heart of Kolkata on Sunday and even after 10 hours, it was not fully doused. However, there was no report of any casualty or injury, state Disaster Management Minister Javed Khan said. “The fire is under control and fire fighters are working hard to douse it completely,” Khan told PTI. Though the major part of blaze has been doused, some still remained there in some pockets which needed to be put out, he said. Altogether 27 fire tenders and sky-ladders were being used to reach the upper floors of the shopping plaza which was a cinema hall, ‘Light House’ in the past. The fire was reported at 11.45 AM and it was suspected to have been caused by a short-circuit inside the godown of the mall this morning, a fire brigade official said. The fire originated in the ground floor from where it spread to the other floors of the building. And the huge stock of clothes, leather items and other inflammable materials added fuel to the fire, the official said. Water was pumped from a nearby water body on Jawaharlal Nehru Road to douse the fire that, at one of time, was about to spread to the adjacent New Empire building, a fire brigade official said. The fire in the ground floor was brought under control but reaching to the core of it in the third and fourth floors was tough because of which it took so much time to bring it under control, he said. “Our operations will continue during the night and till we are sure that there is no fire even under the debris,” the official said. Major Fire Initiators – Short Circuit & faulty wiring! New Delhi, Apr 12: A minor fire broke out in the basement of Gujarat Bhavan on Sunday morning. No casualty was reported in the incident. The Delhi Fire Services said they received a call at 8:10 AM following which eight fire tenders were rushed to the spot to douse the flames. “The fire began in the basement where old furniture was stored. The flames were doused by 8:40 AM and no casualty was reported,” said a DFS official. “It was an old banquet hall with old furniture, Gujarat Bhawan administration will look into the matter, we received a call at 8 am, rushed to spot & were able to douse fire in 40 minutes”, said Vedpal, Assistant divisional officer, Delhi fire service. A short circuit is suspected to be the cause of the fire. Mumbai, April 12: Massive fire gutted the twin apartments of actress-turned-politician Moon Moon Sen in Mumbai on Sunday morning. Several fire tenders rushed to the spot to douse out the flames, says media reports. At the time of incident, the TMC MP was in one of the apartments along with her daughter Riya Sen. The fire department officials said that both the actresses have escaped unhurt. The blaze erupted in the twin apartments on the sixth floor of seven-storey Ruia Park building in suburban Juhu. “We got a call at around 2 AM that a fire has broken out on the sixth floor of Ruia Park in Juhu. We then sent three fire engines, three water tankers and an ambulance to the site to evacuate those trapped in the building,” an official of the Municipal Corporation of Greater Mumbai (MCGM) said. “Neither the actresses nor other residents of the apartments were injured in the incident,” he said. The exact cause of the fire was yet to be ascertained, though preliminary reports suggest that it was the result of a faulty wiring in air-conditioning mechanism, he said. Riya expressed outrage over the incident on social networking site. “Our buildings on fire! We’ve lost two of our flats! And the fire engine took an hour to arrive! Shame on this country!” she tweeted. Due to growing environmental consciousness, many green building are coming up in Gujarat. Such residential projects are characterized by eco-friendly amenities such as rainwater harvesting, water recycling and solar power systems. 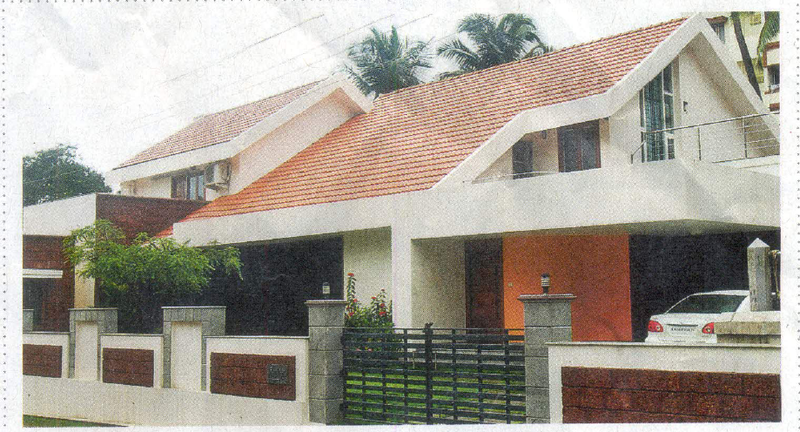 A green home is not just a type of house designed to be environmental friendly and sustainable, but also focuses on the efficient use of energy, water and building materials. What goes inside a building is also equally important as the exterior look of the house. The type of cable going inside a building is also majorly monitored, seeing the number of fires happening around due to short-circuit. Halogen-free cables, flame retardant building materials are also increasingly used these days. At present, there is tremendous growth and awareness about green buildings. Not just individuals but also some of the well-known corporate houses have a policy to occupy green buildings. With active support from the government and the private sector, green buildings will soon become the norm. Hence, few years from now, only green buildings will be in demand. A lot of disastrous fire incidents occur from time to time in our country and many die or are seriously injured. 90% of fire deaths which are reported worldwide happens because of fire in buildings. (Source: Center of Fire statistics of CTIF 2006). The primary reason of casualties in building fire are smoke & hazardous emissions which reduce the chance to escape. The sheer volume of cables in modern buildings due to the rapid technological evolution (electrical appliances, telephones, computer connections) represent a significant quantity of fuel for fire and acts as a vector of propagation of fire. During fires, buildings should remain functional to help in the evacuation process. People’s safety is the priority, fire safety equipment’s like warning systems, smoke detector, smoke extractor, emergency exits and firefighting equipment are key and must remain functional. Electrical cables are backbone of all these equipment’s. Half the battle can be won if cables going inside the building is monitored. It is a dire need of the hour to have a HFFR cable specification in place at the earliest through Bureau of Indian Standards. We are a populous country, our population is increasing and we have no option but to go vertical and since we are going vertical we are more vulnerable to fires. Most of the fires occur due to electrical fault or short-circuit. And thus independent authorities have already revised their internal documents for the use of HFFR cables instead of normal PVC cables. All the metros are currently using the HFFR cables in its construction and not to forget the Airport authorities in India who have been making considerate efforts to replace the normal cables with HFFR. Thus a Halogen Free Flame Retardant cable specification code should come in place likewise in developed countries which have got it to practice. If steps are not taken at the right time we will continue to face disasters and irreparable losses followed by regret.